Y'all are reallllly gonna like this recipe because it only requires baking things you get out of the freezer! I had been wanting to try these sliders for a while and a noon kickoff was the perfect opportunity. Breakfast foods are our favorite and they helped make an early kickoff time more fun. I paired the sliders with sausage balls (our very favorite) and deviled eggs. It was the perfect tailgate brunch trio! 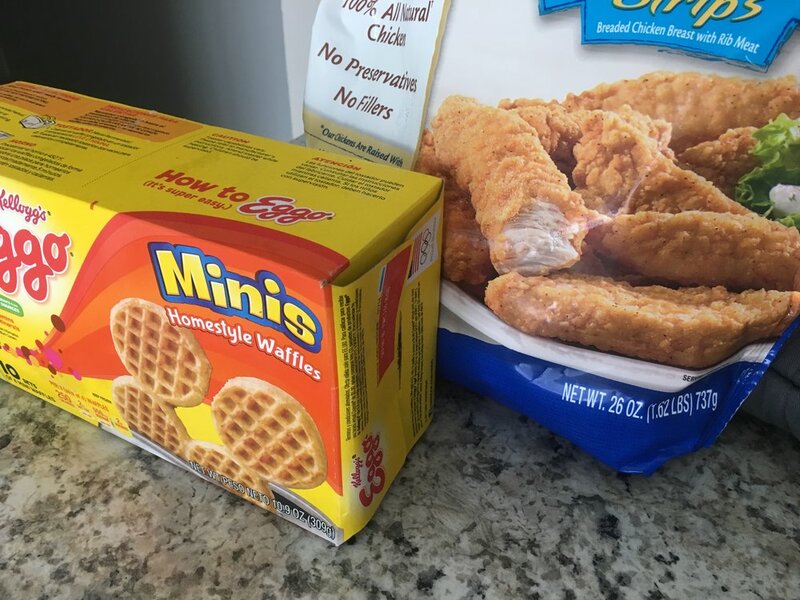 This would probably be even tastier if you took the time to fry your own chicken and make your own waffles, but no 9 month pregnant lady got time for that! Please note that I used only orange toothpicks, just for the Vols! Bake chicken according to directions on package. Toast waffles as you normally would. 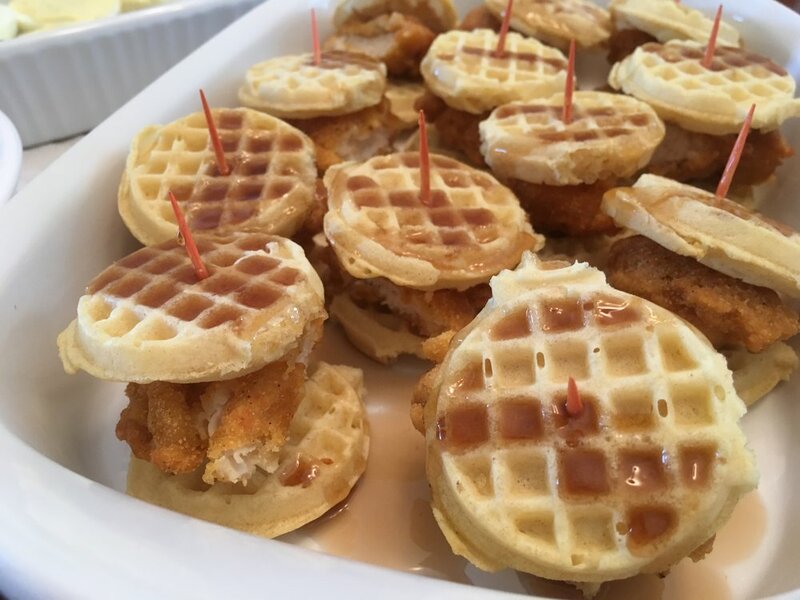 When chicken is ready, cut into bit sized pieces and secure between two waffles using the toothpicks. Drizzle with syrup and chow down! We are loving this decaf coffee right now. Of course, you can get it in regular too, but being pregnant means less caffeine. We buy it at World Market here in town but you can also get it on Amazon! We enjoyed a cup with our tailgate brunch.